Hello everyone, one of my major GOALS (not resolution) this year 2016 is to read as many bible plans as possible. Okay, that is not a SMART goal. First, I decided to complete at least one reading plan a month. Then I find that consistency is key and is easy to achieve if I focus on one thing. Hence I settled for my one-year reading plan. I am not referring to the whole-bible-in-a-year plan. I have tried that before, it didn’t work. Too much in such a short time. I just could not assimilate everything I was expected to read in one day. Moreover, I am more concerned about reading the Bible to grow spiritually and otherwise than reading the Bible to gain an idea of all that it contains. I will definitely get around to reading the whole bible systematically in one year, I just don’t think it’s the most important need in my spiritual journey right now. For this reason, because I love Rick Warren, I opted for his 1 year devotional. This is the second time I am doing this, the first time I didn’t follow through. This time…………well I am sharing with you now, am I not? This is me committing to accountability. I am opening up myself to questioned on where I am in my reading plan and what effect I have allowed reading the bible to have in my life. Have I told you yet? I don’t think I have shared that the first book I read this year was ‘The Purpose driven life’ by Rick Warren? Oh yes I did! And it is quite the mindset changer and eye opener. I cannot believe that I have had this book lying around for some years and never completely read it. (Never mind how I came about the book in the first place, yes, there is a story there). I am just glad I came around to reading it. I think every Christian should read it with a mind to accept and adopt the messages in it. For me, I desire a year in which I develop spiritually and intellectually. I desire a year in which, at the end I will be able to pinpoint areas of my life I have been able to record growth and progress. Growth and progress that is easily seen by people around me, because invisible growth is immeasurable and thus irrelevant. I encourage you to find a good bible reading plan if you don’t have one yet. Create time in your schedule such that you don’t miss reading your bible everyday. It’s easy to find time for the things we give priority to in our lives. As long as we prioritize rightly, everything will find their space and time in our lives. 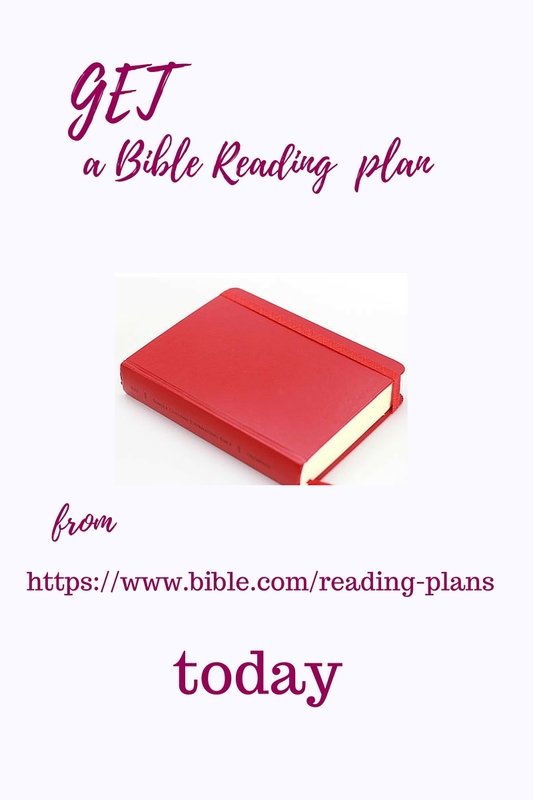 I would love to hear your suggestions and experience with Bible reading plans.